Lemoyne Raiders is a Gang in Red Dead Redemption 2. According to Newspapers, the Lemoyne Raiders are made up of both Confederate veterans and many recruited disenfranchised young men. Structured like a militia, the group initially formed up as a Neo-Confederate organization that was appreciated by locals. 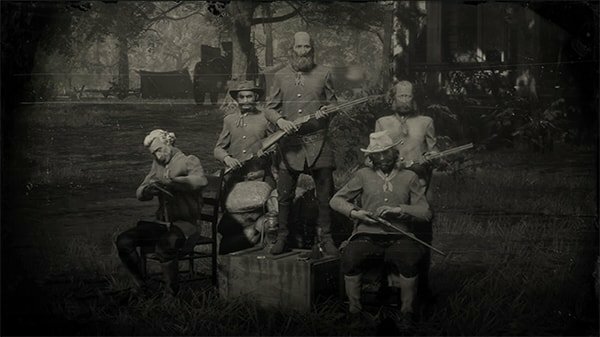 As of 1899 though, the group had turned violent and is known for murders and robberies of northerners and law-abiding citizens alike throughout Lemoyne.